The client recently established a manufacturing site in Vietnam to manufacture whole blood collection sets and apheresis disposable sets. The products were intended for sale in Vietnam and for export to other countries and had been approved by both the US FDA and had CE Mark. 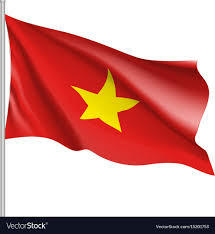 Despite having a local team in Vietnam and meeting with the local Ministry of Health, the client did not have clarity on how to obtain Certificate of Free Sales (CFS) and how to legalize the CFS. Through RegDesk’s expert-sourced regulatory intelligence service, the client was able to receive a step-by-step process of how to obtain and legalize the CFS. In the process, the client also gained knowledge and insights of how to register their medical device product in Vietnam. The client verified the information received through RegDesk with the information they had obtained through their consultation with the local Ministry of Health and determined the knowledge received through the local experts was accurate and superior to what they had received from the Ministry of Health.